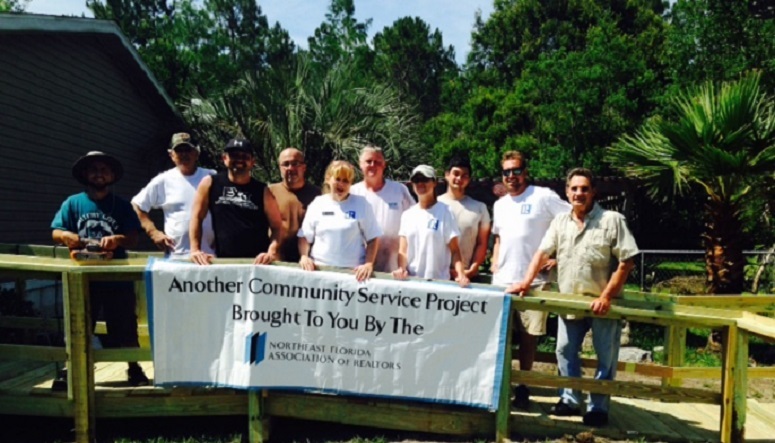 The Northeast Florida Association of Realtors (NEFAR) created a program to provide labor and support to the community by building wheelchair ramps in Northeast Florida. The majority of the ramps utilize funding from SHIP funds for qualified candidates through SHIP. NEFAR members and NEFAR Charitable in conjunction with the St Johns’ Housing Partnership provide the tools, labor and support to build the ramps. All ramps are usually built within one day unless weather related delay is involved.